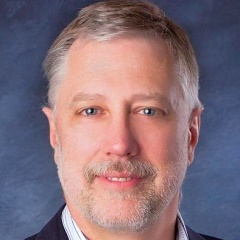 CRE Tech 4.0 � Boom, Bust or Fizzle? We have heard this story before � or have we? There have been various tech booms and busts throughout history, with the most notable being the dot.com crash. 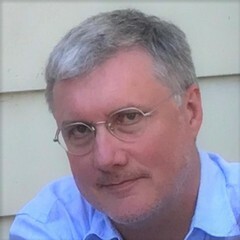 The dot.com bubble occurred from 1995 through 2001 and had a significant impact on the general economy. The NASDAQ, well known for being a high-tech exchange, lost more than half its value and has only recently reached and exceeded pre dot.com levels. The commercial and corporate real estate market also participated in the general dot.com euphoria and we estimate that approximately $2 billion was invested in real estate technology startups. About $1 billion was focused on the information and transaction market and the other $1 billion was geared toward broadband infrastructure. In many cases, these investments evaporated into thin air. There were, however, a good number of companies that survived the crash and went on to become well-known and successful. One of the most notable successes from this period was LoopNet (later merged with Property First and then acquired by CoStar), while some of the less fortunate were companies such as RealtyIQ, Broadband Office and Real Centric. 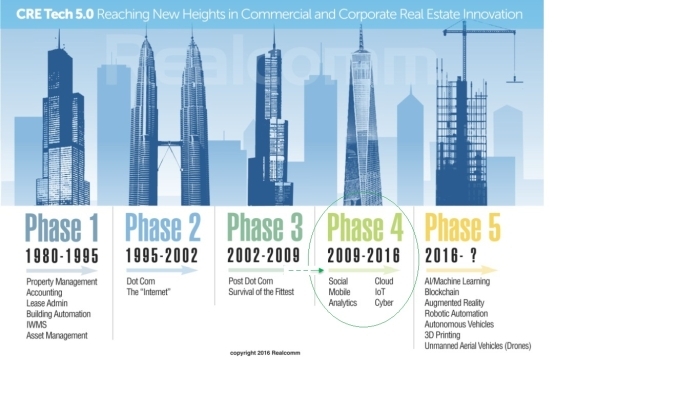 Many in the industry are starting to ask how Phase 4 of CRE Tech investment (which began in 2009/2010) compares with earlier bubbles and what the next 12-24 months will bring. Will we see more notable exits, M&A activity, new entrants, or closures? To date, the VTS/Hightower merger, WeWork and the CBRE acquisition of Floored are the most recognized success stories of CRE Tech 4.0. Our best estimates show that if you include transactions, operations, user experience and smart buildings, the level of investment in new companies could be in excess of $10 billion. This represents well over 3,000 companies, old and new, trying to sell some form of technology, automation and innovation to the commercial, corporate and institutional real estate industry. Comparing the two most recent cycles, dot.com was seven years �start to bust�, with about $2 billion invested in CRE Tech. The current cycle is now in its eighth year with at least five times the investment level of the dot.com era. Many industry thought leaders have speculated that 2017 could be the year we see some significant signs of market consolidation, the same sentiment we heard regarding 2016. Though many agree that 2015 was the peak of investment in the CRE tech space, we continue to see new entrants every day. While perhaps not at the same pace as past years, it does indicate that investors continue to show interest in our industry. There are also those investors who feel the sector is too �frothy� and it might be best to wait for a correction. Bottom line: there is still sentiment on both sides of the argument for investing, and for now it is business as usual. 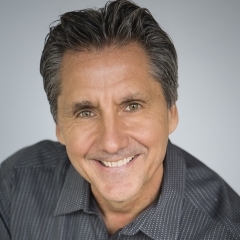 With so many new companies focusing on commercial, corporate and institutional real estate, the innovative ideas that rise to the top are important to the progress of our industry, and that is why Realcomm and IBCON will continue to showcase the �best of the best� ideas. We will provide a forum for discovery, discussion and debate on the challenges and opportunities of the innovation emerging from Phase 4 of CRE Technology. To learn more about the future phases of CRE Tech, join us at Realcomm | IBcon 2017, which will be held in San Diego on June 14-15 (June 13: Precon | June 16: Innovation Tech Tours). 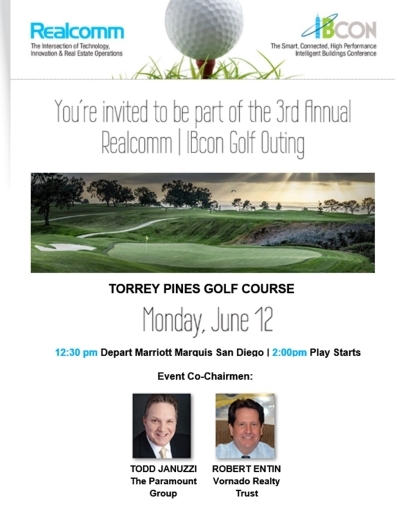 The golf outing is open to all registered Realcomm | IBcon attendees. Conference registration (early bird rates expiring 4/14/17) and advance reservation is required.